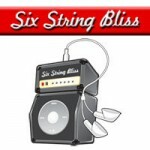 Six-String Bliss is a podcast. When Pipes and PT created Six-String Bliss, they had a clear goal in mind. They wanted the podcast to be a casual conversation between friends – the kind of conversation you might hear in your local guitar store if you had the time to hang out there all day. The podcast doesn’t have the slick polish of This American Life or RadioLab, and it doesn’t have the madcap fast pace of FM radio. Pipes and PT are not experts, and the advice they occasionally give out should be taken with an entire wheelbarrow of salt. They tend to wander off-topic now and again, talking about their personal lives (or Batman). When you listen to the Bliss, you will hear two passionate individuals who can’t stop talking about guitar. We hope you will find their love of guitar contagious as many listeners have since 2005. Sometime in the late 20th century, two college kids named Pipes and PT bonded over their mutual love of guitar. Over the next three years, they spent countless late nights jamming, watching surf movies, and – most importantly – talking guitar. By 2005, Pipes and PT had been out of college for eight years. Both were married and had real adult-type jobs. Pipes had two kids, and PT had one on the way. While both still played a guitar when they had the chance, neither had the same fiery passion they’d had for the instrument in college. Pipes and PT began to wonder if it was possible to retain that passion for the guitar in midst of a time-crunched and hectic adult life. Was it possible that the thing that had killed their passion was the simple fact that they had no one to share it with? Could that passion be recaptured? 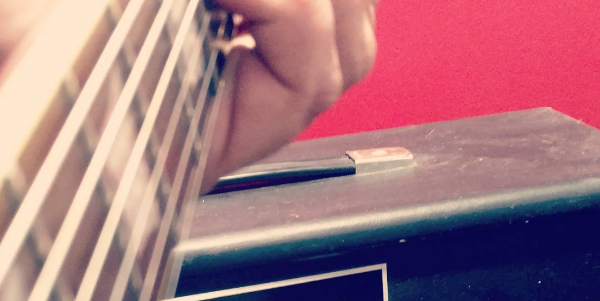 Only a few months after that initial conversation, Six-String Bliss was born. When Pipes and PT created Six-String Bliss, they had a clear goal in mind. They wanted the podcast to be a casual conversation between friends – the kind of conversation you might hear in your local guitar store if you had the time to hang out there all day. The podcast doesn’t have the slick polish of This American Life or RadioLab, and it doesn’t have the madcap fast pace of FM radio. Pipes and PT are not experts, and the advice they occasionally give out should be taken with an entire wheelbarrow of salt. They tend to wander off-topic now and again, talking about their personal lives (or Batman). When you listen to the Bliss, you will hear two passionate individuals who can’t stop talking about guitar. We hope you will find their love of guitar contagious as many listeners have since 2005. While we stopped producing new episodes in 2013, please enjoy our back catalogue and let us know what you think. Six-String Bliss is a community. The Forum – The hub of the Six-String Bliss community! Many a friendship has been formed here. We are proud to say that we host one of the most friendly and welcoming guitar forums on the Internet. Stop by, introduce yourself, and join in the conversation. The Albums – The Bliss community has put out 9 great albums of cover songs and original material. Listen to them all for free here and get involved with the next album on the forum. Facebook – Have a forum phobia? Okay, fair enough. Like us on Facebook and converse with us Mark Zuckerberg style. Twitter – Think anything more than 140 characters is a waste of time? Follow us on Twitter for bit-sized nuggets of guitar goodness.